Tour the Christmas City in a horse-drawn carriage! 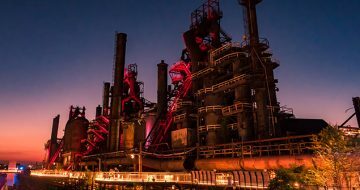 On these rides, you’ll see Bethlehem’s Christmas lights and sights while discovering its rich history and architecture as you make your way through Downtown Bethlehem. 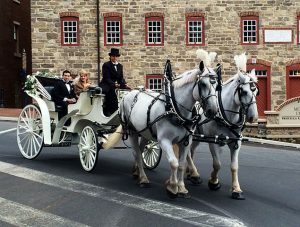 Ride in the elegant and cozy Vis-a-Vis Carriage or the magical Cinderella Carriage, pulled by two beautiful, high-stepping white draft horses, finely decorated for Christmas. Princess character rides are also available on select days where Belle will join your family for an enchanted evening of singing and entertainment. New for 2018, enjoy the Vis-à-Vis Limousine Carriage, featuring just as much Victorian charm and class but accommodating up to six people. Get 10% off all carriage rides Nov. 23, 24 & 25 by using code: blackfriday10 when booking online!